TOKYO, June 18 (Reuters) - A magnitude 6.1 earthquake shook Osaka, Japan's second-biggest metropolis, early on Monday morning, killing three people, halting factory lines in a key industrial area and bursting water mains, government officials and broadcaster NHK said. Quakes are common in Japan, part of the seismically active "Ring of Fire" that sweeps from the South Pacific islands through Indonesia and Japan, across to Alaska and down the west coast of North, Central and South America. The epicenter of Monday's earthquake was just north of Osaka city at a depth of 13 km (8 miles), said the Japan Meteorological Agency. The agency originally put the magnitude at 5.9 but later raised it to 6.1. 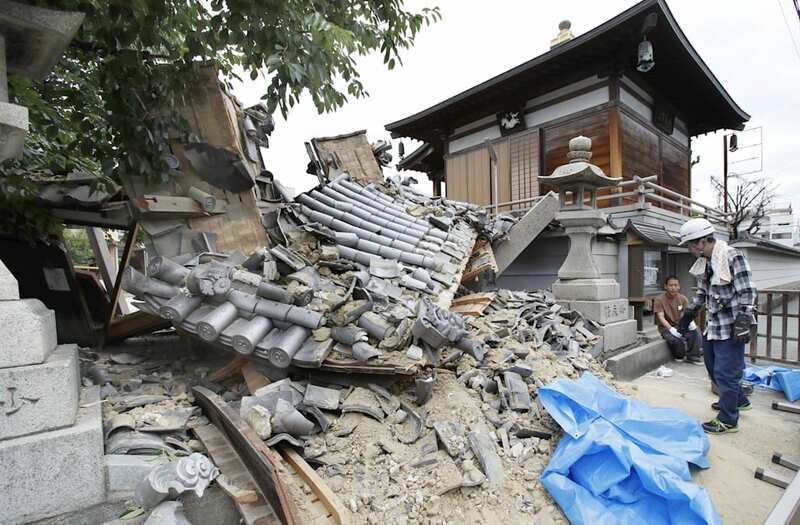 Damaged Myotoku-ji temple caused by an earthquake is seen in Ibaraki, Osaka prefecture, western Japan, in this photo taken by Kyodo June 18, 2018. Mandatory credit Kyodo/via REUTERS ATTENTION EDITORS - THIS IMAGE WAS PROVIDED BY A THIRD PARTY. MANDATORY CREDIT. JAPAN OUT. NO COMMERCIAL OR EDITORIAL SALES IN JAPAN. A police officer stands guard at the site where a girl was killed by fallen wall caused by an earthquake at an elementary school in Takatsuki, Osaka prefecture, western Japan, in this photo taken by Kyodo June 18, 2018. Mandatory credit Kyodo/via REUTERS ATTENTION EDITORS - THIS IMAGE WAS PROVIDED BY A THIRD PARTY. MANDATORY CREDIT. JAPAN OUT. NO COMMERCIAL OR EDITORIAL SALES IN JAPAN. A water-filled crack on a road after water pipes were broken due to an earthquake is seen in Takatsuki, Osaka prefecture, western Japan, in this photo taken by Kyodo June 18, 2018. 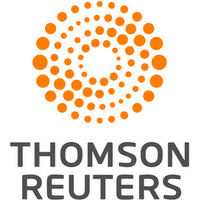 Mandatory credit Kyodo/via REUTERS ATTENTION EDITORS - THIS IMAGE WAS PROVIDED BY A THIRD PARTY. MANDATORY CREDIT. JAPAN OUT. NO COMMERCIAL OR EDITORIAL SALES IN JAPAN. Employees try to remove bottles and cans of beverages which are scattered by an earthquake at a liquor shop in Hirakata, Osaka prefecture, western Japan, in this photo taken by Kyodo June 18, 2018. Mandatory credit Kyodo/via REUTERS ATTENTION EDITORS - THIS IMAGE WAS PROVIDED BY A THIRD PARTY. MANDATORY CREDIT. JAPAN OUT. NO COMMERCIAL OR EDITORIAL SALES IN JAPAN. Passengers are seen at Nijyo station in Kyoto, western Japan after train services were suspended because of an earthquake, in this photo taken by Kyodo June 18, 2018. Mandatory credit Kyodo/via REUTERS ATTENTION EDITORS - THIS IMAGE WAS PROVIDED BY A THIRD PARTY. MANDATORY CREDIT. JAPAN OUT. NO COMMERCIAL OR EDITORIAL SALES IN JAPAN. Students sit on a playground after they were evacuated from school building after an earthquake at Ikeda elementary school in Ikeda, Osaka prefecture, western Japan, in this photo taken by Kyodo June 18, 2018. Mandatory credit Kyodo/via REUTERS ATTENTION EDITORS - THIS IMAGE WAS PROVIDED BY A THIRD PARTY. MANDATORY CREDIT. JAPAN OUT. NO COMMERCIAL OR EDITORIAL SALES IN JAPAN. A massive 9.0 quake hit much further to the north in March 2011, triggering a huge tsunami that killed some 18,000 people and triggered the world's worst nuclear disaster in a quarter of a century at Tokyo Electric Power's Fukushima Daiichi nuclear plant.